All gluten-free eaters will inevitably have moments like this. You’re looking forward to dining out, so you’ve done your research beforehand, reached out to the restaurant to confirm that gluten-free options are available and prepared safely, and questioned the server upon arrival. Even after all of that, you’re still served something you can’t eat. If you’re lucky, the restaurant staff will go out of its way to remedy the situation. The T45 Midtown Diner did just that. 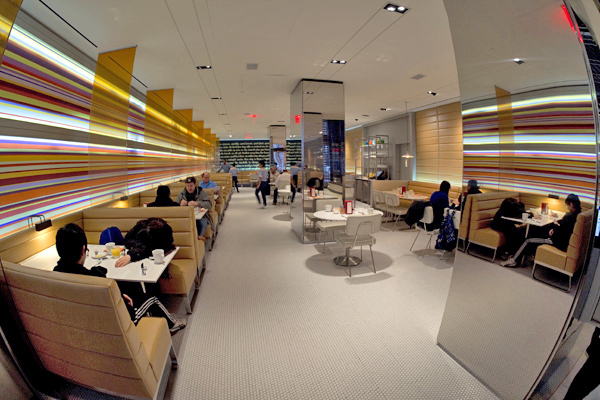 Before staying at the Hyatt Times Square, one of the newest and nicest hotels in Midtown, I did my standard research to be sure that I would be able to eat breakfast in the hotel’s restaurant, T45 Midtown Diner. After perusing menus and communicating with the hotel about gluten-free offerings, I felt good about eating breakfast at the diner. Upon ordering one of the recommended options and receiving an otherwise delicious-looking meal studded with barley, however, it was clear a miscommunication had occurred. What followed was the best case scenario. After communicating the problem as clearly as possible to the server, she immediately took the plate back to the kitchen to discuss with the chef. A few minutes later, she returned with a fresh plate, barley- and gluten-free. This served as a reminder that we can never ask too many questions about ingredients and food preparation when dining out. Never feel bad about asking the same questions twice or more, or even requesting that questions be taken to the manager or chef. That breakfast, by the way? It was delicious and absolutely worth waiting for. 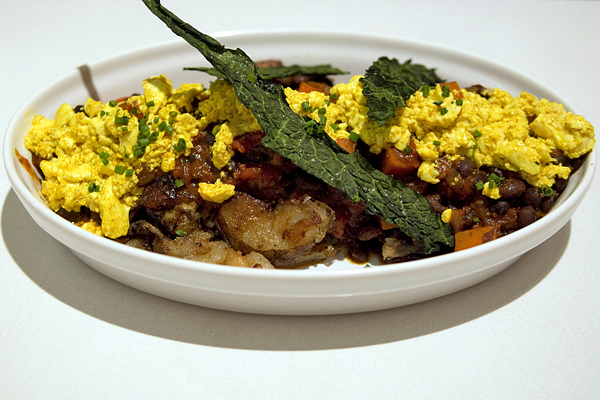 The vegan features a bed of fried potatoes and beets topped with a tofu scramble and a generous helping of vegan chili. Savory, hearty, and filling, it was enough for two tasty meals. In this case, the second time was the charm! Where? 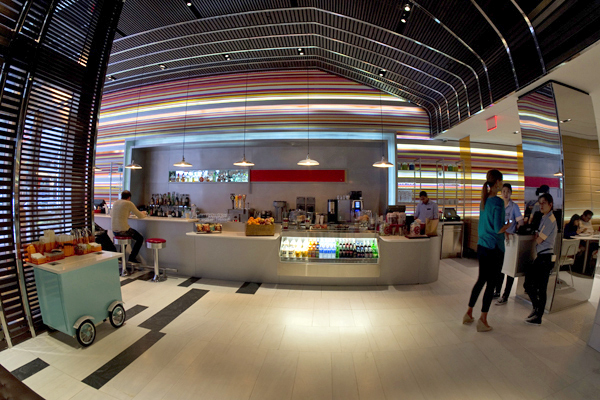 T45 is located right in Times Square: 135 West 45th Street, New York, NY (646-364-1234). Oooops! This is the problem with “gluten-free” being so linked with wheat and wheat only here in the US. Glad you caught the mistake and it was handled well! The gluten-free version sounds delicious. Exactly! One of the downsides of the anti-wheat crusade. Since this is a new spot, I think tweaking the new menu may be to blame, too. Either way, yes, this breakfast was definitely worth the extra effort!